Celebrating 2 Years Of Holly Loves The Simple Things with Shoeaholics! Two years! Two freaking years! How has that even happened? Blogging has been an aspiration of mine for years. I've followed the journeys of bloggers/vloggers like Zoe Sugg, Sammi and Lily Pebbles from the very beginning back in 2009 and to now say that I'm on my way to turning my own little blog into a bit of a career, is crazy! My blog has helped me piece my life back together and made me realise that if something doesn't make you happy, don't do it. Blogging makes me happy and that's what keeps me motivated. Over the past year, blogging has created so many amazing opportunities for me. For example, in this post I'm able to collaborate with the amazing Shoeaholics website and show you these gorgeous Kurt Geiger heels and bag they kindly sent to me! The Shoeaholics website features designers such as Kurt Geiger, Michael Kors, UGG and soo many more! But the best part is that these amazing pieces have up to 75% off their original price, eeek! 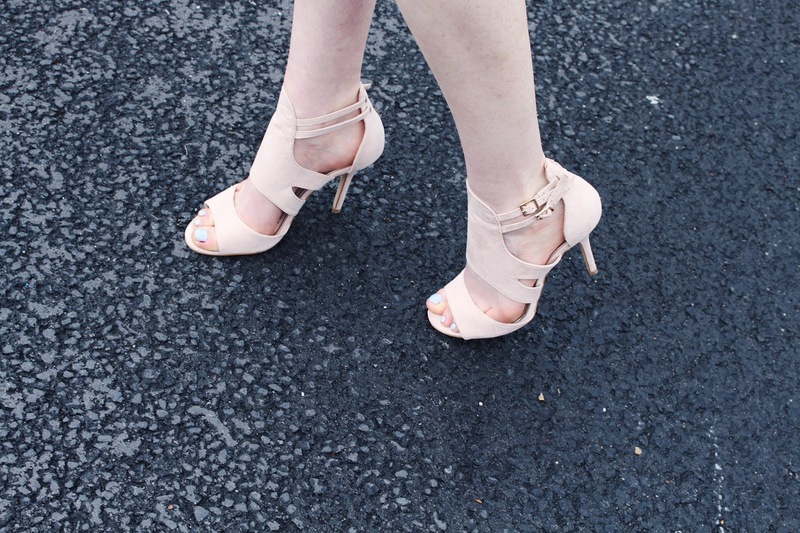 In this post I'm wearing these beautiful Miss KG heels and this fabulous glitzy Carvela by Kurt Geiger bag! I thought this was the perfect outfit to celebrate 2 years of my blog and just get a little bit dressed up and fancyyyy lookin'. I styled the two along with my fabulous, 20's style, dress from Zara and I think they all go so perfectly together! I absoloutley adore the two pieces I chose from the site, but you'll have to take a look yourselves because there are so many amazing designs on there! And, be quick because with 75% off, things sell out fast and you don't want to miss out! Blogging has created amazing opportunities for me and I think even helped towards me becoming a model and building a name for myself. I've seen my instagram grow from 300 followers to now a huge 20,000 and I recently hit 1,000 Bloglovin readers which, is just insane! So, from the bottom of my heart, thank you ♥ and here's to another 2 years of blogging blogging blogging! Happy bloggiversary! you look incred!! Happy blog anniversary Holly! It's crazy how much can change over two years!